For such a cold brand, IceBorn continues to be a hot investment option and business model. Proof comes once again via the brand’s latest recognition on the Entrepreneur magazine Franchise 500 Fastest Growing Brands list. That makes five consecutive years for the automated ice and water vending technology pioneer to show up on one of Entrepreneur magazine’s elite top franchise lists. Entrepreneur determines which franchises have the strongest brands by analyzing factors such as social media followers, system size, number of years in business, number of years franchising, and overall reputation. IceBorn’s consistent position on the rankings reveals a strong, growing brand that offers a successful investment opportunity. IceBorn is the franchising division of Ice House America and has been offering qualified investors a proven business model through franchising since 2012. Franchisees can choose among three unique ice and water vending machine models. 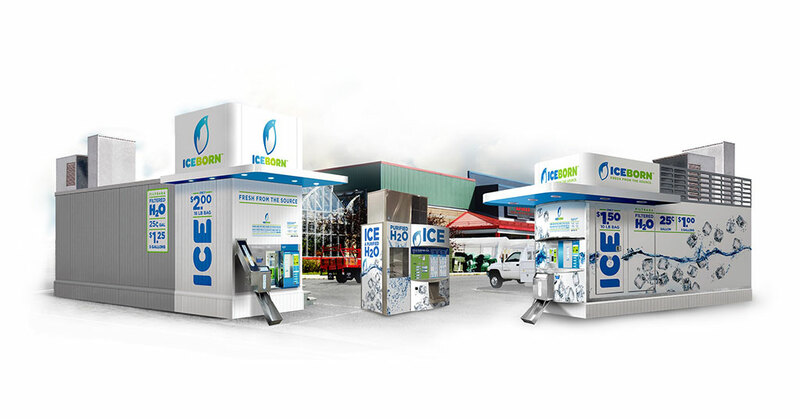 Each is a freestanding, 24/7, automated retail ice and water destination that easily and efficiently supplies bagged or straight-to-cooler ice that is purified, clean, and made on demand. Investors can join the brand at investment levels ranging from $112,000 to more than $243,000, depending on the size of machine chosen and quantity of machines franchised. The brand offers its franchisees top-to-bottom support. Once a franchise development agreement is signed, the IceBorn team provides support to franchisees in finding properties, site development, grand opening, and ongoing marketing needs. From there the brand offers its operators a unique training and technical support system that provides the tools for ongoing success. IceBorn’s parent company, Ice House America, was founded in 2003 and is headquartered in Jacksonville, Florida. The company has more than 3,500 installed and independently owned bagged ice and water vending machine locations in more than 33 states. There are more than 100 corporate-owned ice vending machine locations, with the remainder independently owned and operated. IceBorn has consistently been recognized by Entrepreneur Magazine and Military Times, including Top New Franchise, Top Hot Trends, and Best for Vets Franchise. The brand currently has open markets and opportunities available all across the country. If IceBorn sounds like a great opportunity for investing in a successful and proven business model, you can find out more about the brand and details about its franchising opportunities at www.icehouseamerica.com.